Building capacity one bucket at a time. 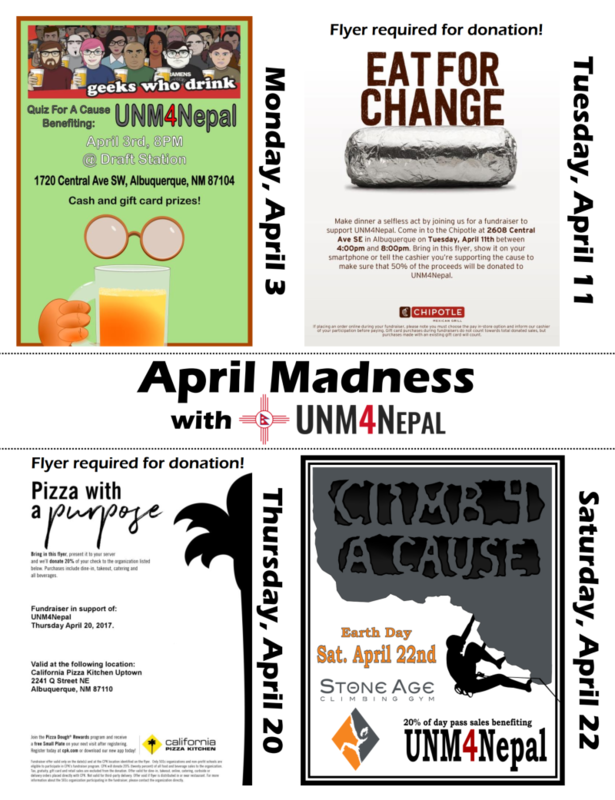 UNM4Nepal is a student group at the University of New Mexico (UNM) that seeks to be a partner in all stages of Nepal’s recovery following the devastating earthquakes and landslides in April and May of 2015. Our interdisciplinary team is working with local organizations and universities to foster change in impoverished rural villages affected by the disaster. We believe that the best way to rebuild is to begin at the heart – the clinics, schools, and temples that provide the lifeblood of a community. Any project undertaken by UNM4Nepal will respect the social and cultural complexities of these communities and seek to support them from the inside out to ensure effective and lasting impacts.